Why do we need a Human Capital Index? Do you remember the that last time you had to pick a specialist? How did you do it? Did you call friend for a recommendation? Did you call a professional association? Did you research the web? Did you look on the yellow pages? Did you wish you had more time? If you are one of those that thinks that these problem should have been resolved a long time ago, you will be happy to know that there are some new tools on the web posed to facilitate you next talent search. I will talk about them, how we got there and what the future will bring. For individuals finding talent in never easy. It is especially hard when it is an urgent matter. Whether looking for a doctor or a plumber, individuals, to this day, have no proven way to systematically find the talent they need. For most, the preferred method ends up being educated guessing based on the advice of friends. In the absence of it, individuals will take on the web and will use search engines to know more. In the end, individuals are ultimately influenced by cost and some type of marketing. Even though there are a myriad of websites to allow people to review and score the results of the work of others, the reviews tend to be highly subjective. When things work well, people tend to be too busy to share, and so there's a tendency to express negative opinions, which contributed to a somewhat distorted image. For organizations, finding talent is a critical process. Human capital is simultaneously the most valuable and most expensive asset of an organization. Educated guessing is risky but not unheard of. For the most part, organizations have been relying on the combination of resumes and interviews to discover talent. With the internet, the process was significantly simplified and allowed the globalization of talent discovery services. Résumés, whether online or not, are a low-resolution and unstructured description of people’s skills and expertise. Those who write them can exaggerate or omit facts, and some claims require manual validation by a third party. Because of that organizations have to invest in interviews and recruiters to find and assess talent. All of these processes represent a significant investment that penalizes both the individual and the organization. At the dawn of the knowledge revolution, organizations still relying on the traditional process to identify talent will soon realize that it is too expensive, slow and error-prone to compete in the global “just-in-time-economy". Social networks are starting to take an increased role in talent discovery. Among them Linkedin is quickly emerging as the dominant player. Besides offering the individual's professional history, it also allows talent seekers to assess individuals' social connectedness, an important factor on today's highly competitive economy. Recent changes on Facebook, making it easier to identify users' interests, leads one to believe that the social Goliath will also be entering the talent discovery business. There is an innate problem with this type of approach. Even though social networks represent incremental progress over traditional résumés, they were not thought to represent individuals skills and expertise. They were designed to connect people. Even though LinkedIn is trying to come up with new ways to mine their data, finding talent in a social network still requires a lot of human effort. Additionally, the LinkedIn business model allows search results manipulation, which rewards those with the best marketing skills and not necessarily the needed talents. A new wave of social networks is emerging to address the talent discovery challenge. They are the questions and answers sites. 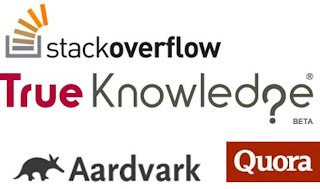 Unlike LinkedIn, or Facebook, these sites are designed to identify experts on specific topics: sites like Quora (started by ex-facebookers), Starckoverflow, Trueknowledge and Vark (a google company). In a way they are all inspired in the Wikipedia model but are a lot more focused on aspects of social networking. Whereas Wikipedia wants to present something to the community that has high quality, these new generation of tools seek to classify and index the expertise of individuals, facilitating their interaction. Even though these new tools represent a significant leap forward in finding talent, they are unable to respond (in a deterministic way) to a basic question - "How do we know that a given person has the necessary expertise to respond to a given question?" To resolve this issue, these search engines turn to more or less complex computer algorithms that utilize the feedback from the community and the activity of the user, to score and index human capital. 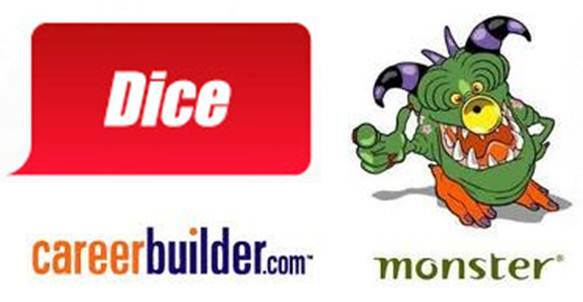 Another important factor is that these tools are, at their core, social networks. They are extremely influenced by popularity driven factors. For the most part, there's no way to accurately assess whether the answers given lead to the expected results or not. That reduces their accuracy. The accumulation of skills and expertise (knowledge) is a lifelong process. People become experts on a specific subject because they are exposed to knowledge and use their cognitive abilities to establish their own expertise. A person that has never enrolled into a learning program, or has never been involved on a project, about a certain topic, cannot be an expert on that same topic. 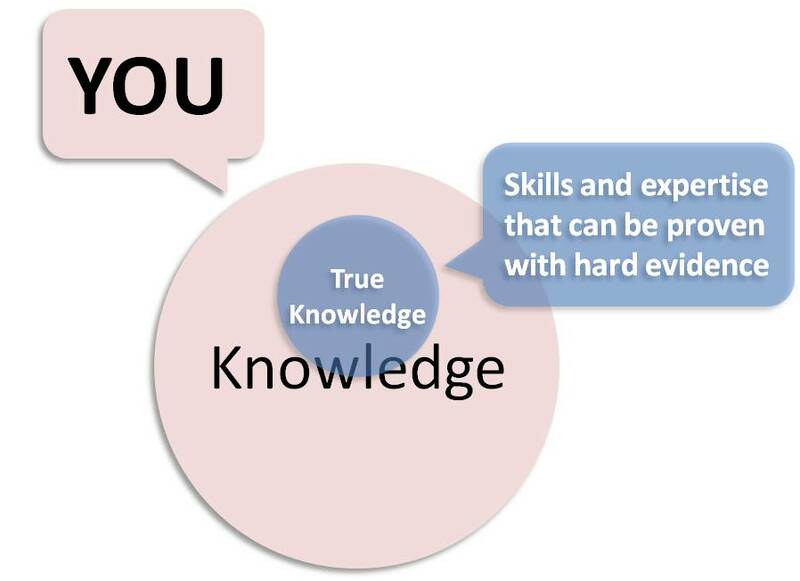 The most accurate way to assess individual's expertise is by tracking knowledge accumulation and utilization. In other words, human capital value shouldn't just be the result of answering questions, but the result of a evidence of work and results over time. As society quickly evolves towards the knowledge economy, organizations and individuals will have to do a lot more than be able to prove their ability to answer questions. They need to be able to demonstrate how they accumulate expertise and how they use it to achieve their results. Simply put individuals need to make their their cognitive abilities more transparent. Without this it will impossible to determine whether the individual is just mere knowledge developer or a knowledge holder. In summary, finding talent is getting easier by the day. However, that alone is not enough for the challenges posed by the knowledge economy. In this new era, it is critical to know what people know, how people acquire and apply knowledge. The individual's human capital index is a combination of all of the three. If you haven't done it lately, take this opportunity to do it. It will allow you to prepare for the changes that will take place as we converge to the knowledge economy. Up until the early 1980s, information wasn't the big issue it is today. Things evolved quite slowly from verbal, to print, to audio and to video. With every new technology, more people consumed information, mostly news and entertainment. With the advent of the personal computer in 1975, society enters the service economy. 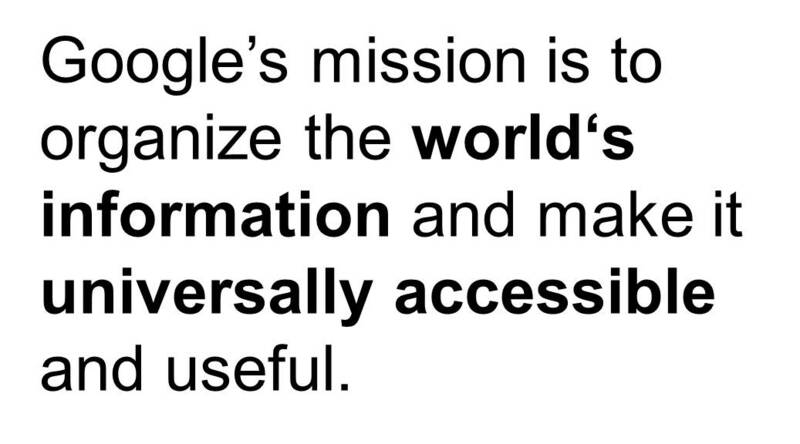 In this new era, people start consuming information has part of their work. More than an information stream, people are now seeking knowledge streams. By the 1990s the web goes mainstream and the service economy goes on steroids. This leads to an explosive growth of information. Yahoo and other early movers take the lead in helping people find information on the web. However, they fail to execute on the search engine as a radical new idea. In 1998 Google was created. The 21st century sees the emergence of another information phenomenon. People wanted to collaborate and share things with one another. They shared it in many formats: text, pictures, videos, links, etc. Some shared original information. Some didn't. The collaboration aspect gave birth to the web 2.0 phenomenon, and the music sharing business gave birth to the iTunes. Today information has a huge contribution from bloggers and other small information providers that defy the large traditional information providers. We get news from our friends that we trust, from social networks in which are constantly plugged into. Newspapers are dropping like flies. Telecom manufactures and operators continue to see the bulk of the revenue going to the companies that store data. They are the biggest losers of the information revolution. We are now experiencing the end of the end of the service economy. A new era is emerging - the knowledge economy. In this new phase you need to become knowledge consumer and knowledge publisher (developer). Your revenue will depend on your ability to produce original work, which others (low income humans, and machines) will put into practice. why will you need information? 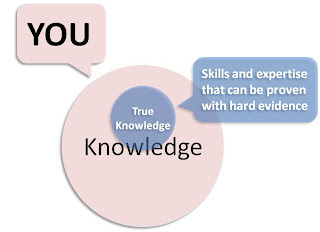 You need both information and knowledge to support your original knowledge development. Your information and knowledge will come from anywhere in the world, from people that you will never know. You will consume via wireless devices (that have nothing to do with iPads). Do you see any problems with the future? What do you think those are? Can I share some with you? identify the discipline you are innately inclined to pursue? find others in your field that are aligned with your ideas? assess if they are qualified or not? increase your knowledge in an affordable and effective manner? Do you remember the Concorde? What would you have done if you were at the end of the Charles de Gaulle Airport with your smart phone? Since you are very tech savvy, chances are your picked 4 or 5. However for the purpose of this post, lets assume you did both. Would you like to know what would have happen after you had done that? 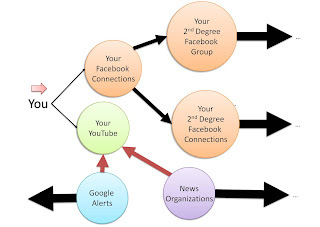 By posting the event on social networks, you would have initiated a "social network chain-reaction." Powered by both human and automated processes, the realtime web, would have enabled the information to reach all corners of the world within minutes. Human beings are hardwired to find solutions for events they don't understand. 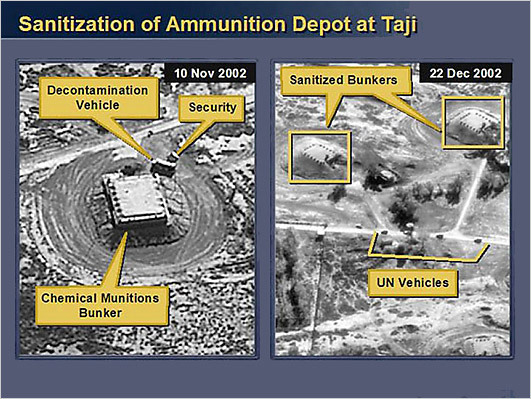 Soon after your post, many individuals and organizations, moved by their own interests, would have initiated their own investigation into the disaster. Since the news cycle is highly competitive, even bad news is good for business. 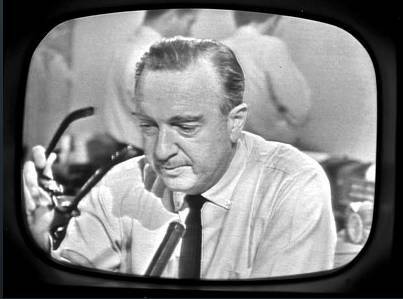 In the absence of any recognized experts, people would turn to self-entitled experts to fill articles and airwaves, until any official news was released. From the moment the event was published on the web, until an official solution was presented to the public, many bits of knowledge, without any correlation with the truth, would have been produced. This would happen because those the author of the knowledge processed information without having the proper knowledge to do so. In other words, their were using knowledge (to process information) that had not been proven to lead to negative results. Worst off, it would have been stored. Wrong information is one of the worst enemies of the knowledge economy. Wrong information behaves like cancer cells because how easy it is to incorporated in other chains of knowledge. Incorrect knowledge results from applying intuitive analysis to complex problems. 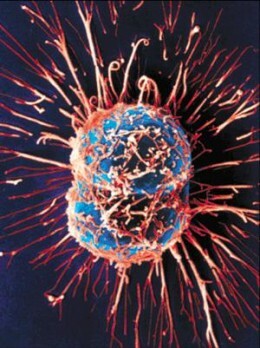 Cancer cell dividing. Unlike healthy cells that stop being able to divide after 50-60 times, cancer cells continue the process. They don't die. The reason is simple. In today's society, there is still a large percentage of the population not engaged in continuous learning. Their ability to keep up with innovation reduces every day. Without the proper knowledge to process new information, they are led to the wrong conclusions by using their intuitive cognitive abilities. Unfortunately, in the times we are living in, we are part of a complex system that has very counter-intuitive behavior. In fact, as we become increasingly inter-dependent, most problems will continue to grow in complexity, which invalidates our ability to use or innate abilities. Cancer kills. Bad information does too. The knowledge economy needs a system that prevents it from being infected by bad cancer cells. For that we will have to develop a system that is able to recognize whether the people producing information are truly qualified to do it or not. We need a system to recognize true knowledge from incorrect knowledge, and prevent incorrect knowledge from entering the system. When it does, we need to fight it, just like biologic immune systems do. Rare thinking people like you already have a clear understanding of the differences between an electronic market and a social network. Fusing them should lead to a new type of platform with all the benefits and no disadvantages. Right? You would be surprise. That is sometimes not the case. That is also what happens in the natural world. Atoms with nuclei large than iron (Fe) will not dissipate energy during fusion, and will actually absorb energy. See the different approaches from Google, Amazon, LinkedIn, Facebook, and Olexe on their electronic markets and social networks fusion strategies. An electronic market (e-market) is an information system, controlled by the market intermediary, where a finite set of market agents (or simple agents) orchestrates a finite set of business processes with the intent of trading of products and/or services. E-markets facilitate transactions between buyers and sellers by through the entire life cycle of the process, since it is sold, until it is retired. Communications in electronic markets use highly structured formats and use a common ontology. This approach enables high level of automation since it eliminates semantic issues from communications. Electronic markets are associated with Game Theory. Game theory is the study of decision making among multiple agents (human or software). This theory looks at the interactions of agents as games in which decisions are made to maximize the returns and the outcome is jointly determined. This theory defines several types of games to study different scenarios. They are cooperative or non-cooperative, symmetric and asymmetric, zero-sum and non-zero-sum, simultaneous and sequential, perfect information and imperfect information, infinitely long games, discrete and continuous games, one-player and many-player games and metagames. A lot of research is put into electronic markets prior to their release using Game Theory because better market designs will do a better job of matching buyers and sellers, ultimately enhancing society's wellbeing. 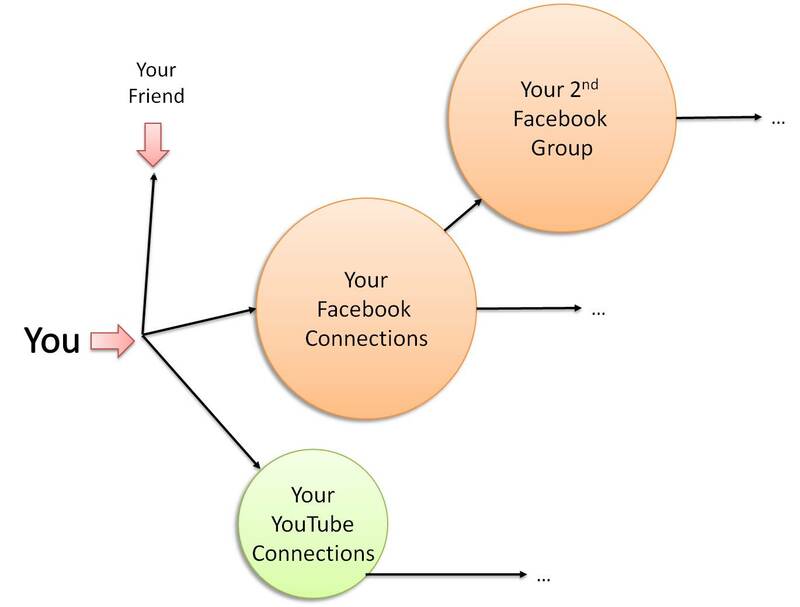 A social network is human structure made up of individuals (or organizations) called "nodes", which are tied (connected) by one or more specific types of interdependency, such as friendship, kinship, common interest, financial exchange, dislike, sexual relationships, or relationships of beliefs, knowledge or prestige. Social networks were not designed to implement business processes. A much better term would be social processes. 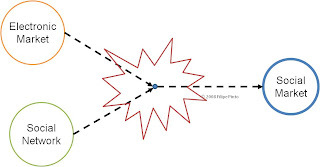 There are two basically processes: one to connect two people, and another one to build affinity by sharing some artifact. A way to make social networks richer is by enabling an app platform. An app platform is infrastructure that offers developers the ability to develop simple business processes (called apps) with great simplicity and agility. Apps are social processes that try to promote new affinity points among people with the objective of increasing the connectedness of the network. Communications on social networks do not have an underlying ontology and therefore automated understanding is very difficult. That is one of the reasons companies like Bueda are emerging (BTW, Bueda is a start up from my friend Vasco). 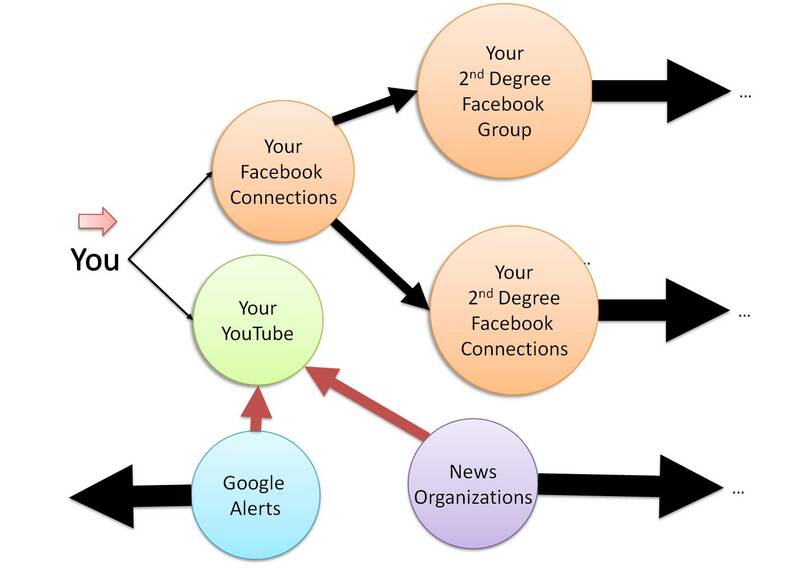 Social networks are associated with Graph Theory. Graph Theory studies graphs which are mathematical structures to model pairwise relations between objects of a collection. I don't know if you have been noticing, but the larger electronic platforms are no longer pure players. Companies that started as electronic markets are now adding social capabilities, and vice versa. Social networks are a great way to influence behavior on electronic markets. Amazon has been very successful at building a very successful social network on top of their amazing electronic market (I'm a huge fan of Amazon - their are masters on business process management). Facebook is on the process of building a marketplace to allow its social graph to sell and buy things. Given the success of Facebook this market will continue to thrive as people start using it more. LinkedIn is like Facebook, a social network developing an electronic market. In the case of LinkedIn, the exchange outcome will be to allow companies to hire the best staff they can possible can. Accordingly to the grape vine, they will shortly announce something big in the HR arena. I left Google for last because Google is a more complex case. They are great at everything but have been making a lot of mistakes in the social aspect. I believe there are cultural aspects to that but I will leave that for another post. 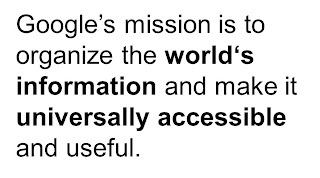 If you remember, Google started without a business model. They knew what they were doing was great but they came to life when free was the way to go. It was only after a while that they came up with AdWords. This is in reality, their electronic market. They have a bidding system for ad words. From there they have been buying companies that had developed social networks, of which YouTube and Blogger are great examples. They are well on their way to achieving it and eventually will be able to deliver a unified vision of their portfolio. Certain social networks, especially those like Facebook tend to produce a lot of white noise. White noise is information without value to the people that produce it (it may have value for other people in the network) that makes difficult to identify valuable information. White noise emerges from the lack of clear outcome previously accepted by its members. From a pure market perspective, white noise reflects an irrational behavior of its members. Olexe defiens an exchange and a communication ontology. If an agent communicates a help message "HELP" that is understood as a request for assistance by all. This communication adds values for all involved in the electronic market. This approach leads to valuable exchanges and eliminates the white noise, prevalent in certain social networks. This post is the first of a series that will document how different professionals, in different industries, are evolving towards the knowledge economy. The objective of this exercise is to discover the consequences, benefits and potential impediments of those professionals in their on-going transformation from knowledge holders to knowledge developers. In doing so, I hope it will be easier for you to fast forward 5 years, and plan the necessary steps to ensure your participation in the knowledge economy. The agricultural knowledge economy results from the partnership between the natural nutrient developers (ex-farmer and producer), individuals (consumers), and nutritional scientists. This partnership forms a knowledge value chain, whose main objective is to increase human potential through nutrition, wih externalities control. 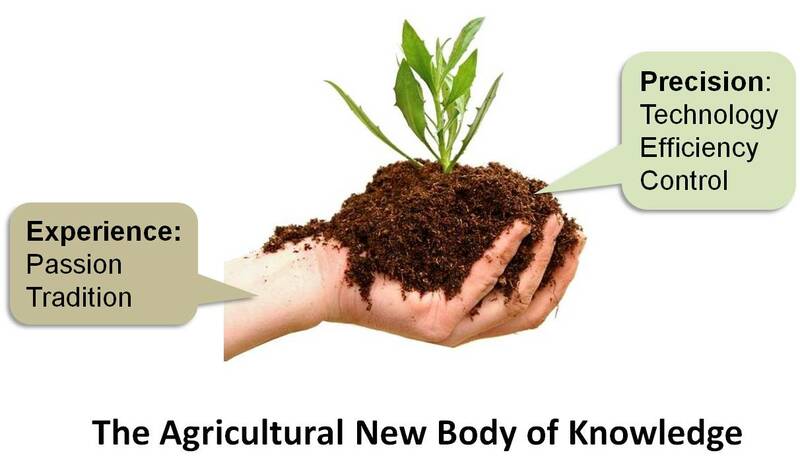 The knowledge economy transforms farmers into natural nutrient developers and natural resource scientists. Their mission is to develop and perfect new ways to adjust physical, chemical, and economical variables to maximize the nutritional results of the consumer, in a sustainable and affordable way. Either while developing algae fuel to power a jet engine across the Atlantic, or developing ways to boost the immune system, farmers become a much more integral part of the value chain. The agriculture knowledge economy is emerging through the organic and urban agriculture phenomenons. In this new era, today's farmers need to make an extraordinary effort to develop knowledge. They must upgrade their real life experience, accumulated over generations, to be able to put in place fast-evolving, evidence-based processes, that result in tracking and correcting local parameters and consumer feedback. In doing so, they will fuse the new and old approach to farming, creating the body of knowledge of the new agricultural era. The biggest challenge to the agriculture knowledge economy is that old and new are not fusing. If not addressed, older farmers will be excluded from the the high-margin precision agriculture benefits. Moreover, invaluable knowledge will (is being) lost. 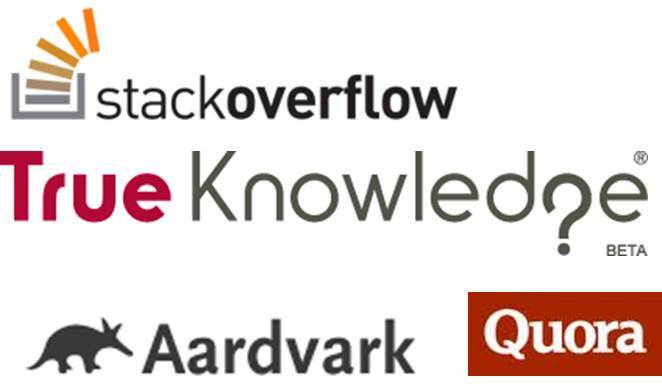 Do you know what is "true knowledge"? The concept of true knowledge often leads to doubt among the people I come across. The reason is simple. 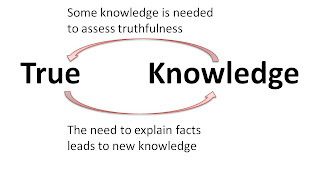 Both concepts "true" (truth) and "knowledge" depend on cognitive processes unique to each individual, and they are interdependent. Traditionally, this has been the realm of philosophers. However, at this critical juncture in time, in which we are rapidly transition towards to the knowledge economy, it is urgent that you understand true knowledge in the context of knowledge economy. In the knowledge economy, having knowledge is not enough. You need to prove that you can use and develop it to achieve the your intended goals. That is your true knowledge. 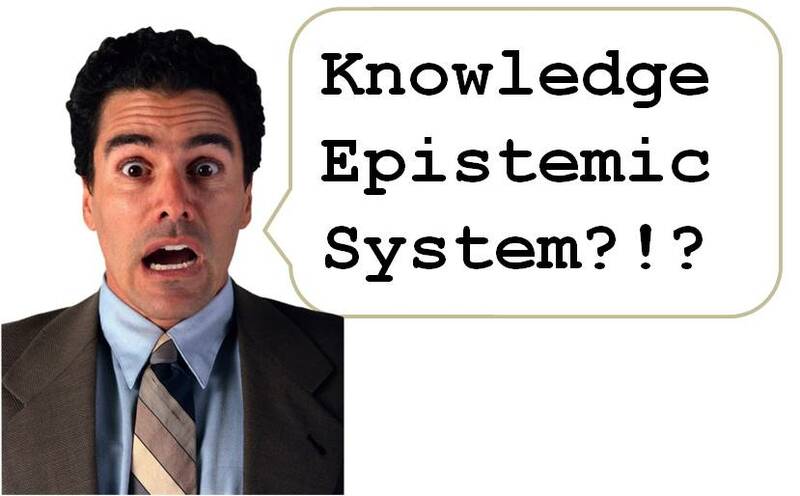 In case you don't have an answer yet, you may want to check a previous post about knowledge epistemic systems. Every time I use the words Knowledge Epistemic System, I get all sorts of strange reactions. There's actually no reason for those reactions. Epistemic systems are actually quite simple to understand. An epistemic system generates judgments of truth of falsity. A knowledge Epistemic System is a system that identifies true knowledge (reliable knowledge). Why you should about them. The epistemic system enables the knowledge economy.